Middle class concerns but concerns non the less. 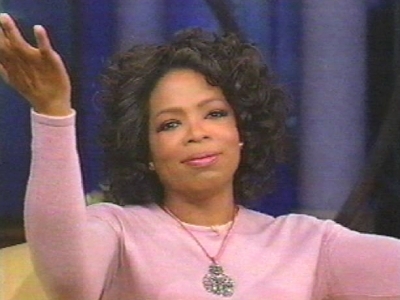 My French classmate and friend Victor Brunier has never heard of Oprah. As somebody who doesn’t miss an episode and cried when she announced her retirement as talk show host, you can imagine the shock! The question though is why should I be shocked? Not knowing who Oprah is a middle class concern. After all she is a female- made phenomenon, famous for her give- away shows, judgmental interviews and a dodgy friendship with best friend Gayle King (doesn’t stop me from watching). Victor can name all 53 African states, share a fact or two about each and he has recently completed his masters in International Relations. The fact that he doesn’t know Oprah is in retrospect quite meaningless. Surely global politics overrides cultural imperialism; I certainly wouldn’t have been shocked if he didn’t know SABC 3’s talk show host Noleen Maholwana-Sangqu. By the way she’s talking about Joburg fashion week tonight…or I’ll wait for Top Billing to cover it. The point is, I’m blinded by the CNN effect; blasted with images of troubled child stars and possessed by new fashion trends. It’s a relief to know that the rest of the world does not think International Relations refers to Angelina, Sandra Bullock and Madonna adopting children from “Africa”. In some respects it makes me love the French for being French. They refuse to conform or change to global standards and are extremely protective of their culture. Ps. Victor is currently making his way from “Durban to Damascus” and you can follow his French written blog about his travels. Is this a catfish moment?